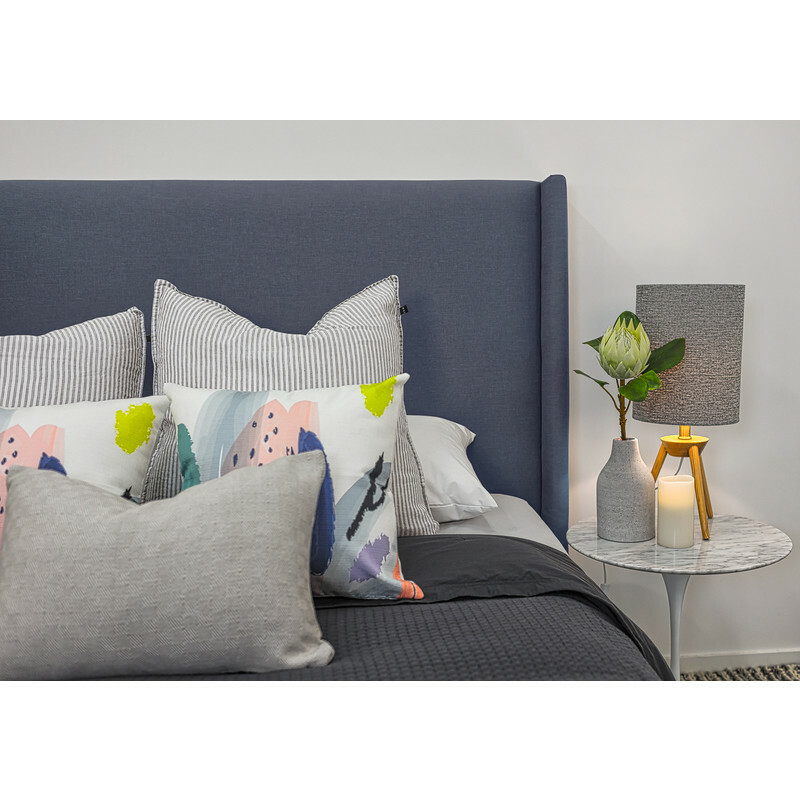 Spice up your bedroom with the refined styling of this ink coloured bedhead. It features simple clean winged lines and is made from quality warwick fabric. This king size ink coloured winged bedhead continues to be one of our most popular upholstered bedheads. It is made from high quality warwick fabric and softly padded with elegant wings. It features simple clean lines and is Australian made.